I know, I know you’ve already seen it. From Tumblr to mainstream news outlets across the world, right now it appears that a pretty unremarkable blue dress with black lace has become one of the most viral memes ever. As with anything this widespread, people are already getting tired of it, calling it a distraction from important news and even deeming it a “new low” for the internet. But bear with me. Because of my past dabbles in cognitive science and philosophy of mind, I found the dress illusion to be absolutely awesome. In fact, I think it’s one of the best illusions I have ever seen, and I’m not alone in this – hence the collective global freakout. 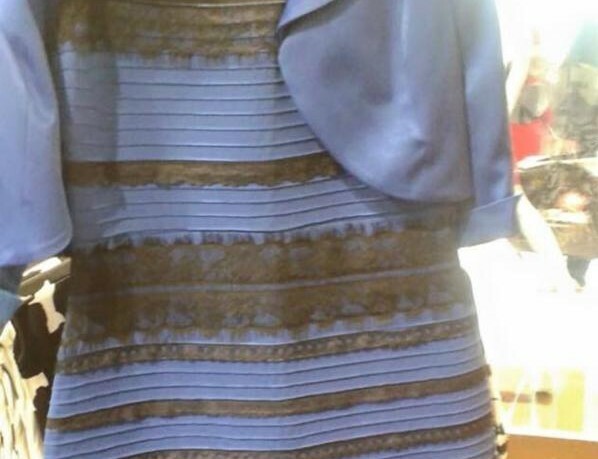 At first, when it started popping up on my Facebook feed, I really didn’t understand why people are asking whether the dress is blue – it looked white and gold to me, albeit the white was more like the kind of pastel purple you get when a photo has improper white balance. 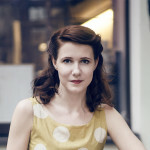 Then I saw a corrected white-balanced version of the photo, and all of a sudden it was apparent – the dress is blue. 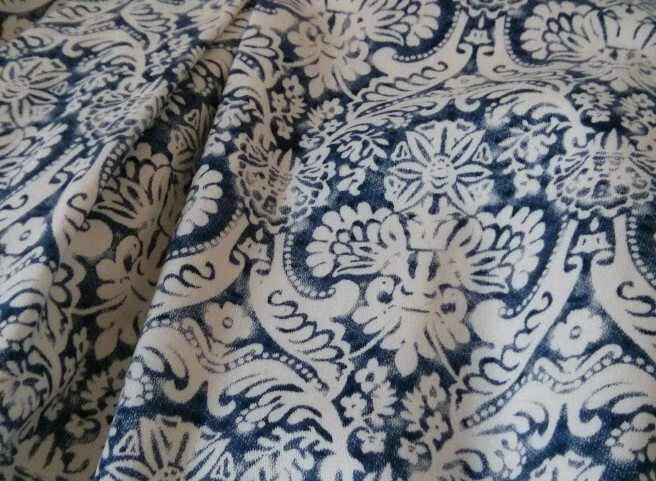 This dress has a white AND blue pattern. Incidentally, I bought it today before learning about #dressgate. Furthermore, I simply can’t unsee the blueness any more! I had a massive fit of The Giggles of Disbelief when this happened, along with many other people I’m sure. So yes, mind – blown. And I use that phrase sparingly. I thought it would be nice to write about the science behind this dress illusion, but I was late to the bandwagon, and there is some excellent stuff out there already. So instead, here are all the things actually worth reading. “Our visual system is supposed to throw away information about the illuminant and extract information about the actual reflectance,” says Jay Neitz, a neuroscientist at the University of Washington. I suspect that the in-office and over-dinner-table arguments taking place all over the world right now are caused by each of us making a different set of (internal, unconscious) assumptions about the visual scene we are shown. Your brain does its own white balancing automatically, meaning that you’re either ignoring the blue hue, giving a white/gold image, or ignoring the yellow hue, giving a blue/black photo. In short, there are theories, but nothing definitive. Which means that vision scientists are so puzzled I wouldn’t be surprised if we will see actual scientific papers come out about The Dress sometime soon. Which would be freaking cool. What if you woke up one day and all the things that looked red to you before going to sleep suddenly looked green, with the entire color spectrum shifted accordingly? Oh, and don’t forget xkcd. Now, was it blue or white for you? Did it change, like it did for me? I’d love to know. It was so perfectly blue and black for me that I was absolutely certain that this was some weird meme (ie people pulling each others’ legs pretending they see white and gold to freak them out) until you wrote about it. Ha! I didn’t get it either – for the opposite reason. Started out white & goldish with a shade of blue that I took was improper color balance in the camera. Looked at it again hours later – blue & blakish. Looked again – white & gold. Freaky. Now it is something of a mix. Some shade of blue and the stripes seem darker – not black but definitely not gold, too. Like a dark, rustic orange.